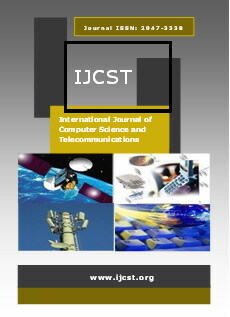 Abstract - In the context of wireless sensor networks, the localization technique "range-free" is more efficient with respect to the principle "range-based". Therefore, we focused on it. To enable each mobile or normal node to choose its own localization algorithm, we proposed a mechanism adapted by splitting normal nodes in two categories: the first category nodes have at least three neighboring anchors, while nodes the second category have less than three neighboring anchors. For first normal category nodes, we proposed a new algorithm "Recovery center ". For second normal nodes, we proposed two new algorithms "Extensible DV-hop" and "Anchor selection DV-hop" to simulate and evaluate the performance of our three new algorithms in the context of network protocol, we have taken care to provide two related protocols: "Extensible & Anchor selection DV-hop protocol" and "First-Category protocol". Subsequently, we combined these two protocols for our "Accommodation range-free localization protocol". Based on our protocol, using WSNet, we simulated different algorithms "range-free" in the context of sensor networks comply with IEEE 802.15.4. The results were presented and analyzed in terms of accuracy of location, network capacity, node mobility, and theirs synchronization. Abstract - Virtualization environment provides VMs which are isolated from each other. This isolation helps co-resident VMs use original transport protocols like UDP and TCP for information exchange. Using original protocols does not take advantage of being on the same host of VMs because of unnecessarily overheads. Running VMs are processes on physical host so that inter-VM communication should be inter-process communication to assure the profit of their exchange speed. It is very important to conduct new researches to find out the best solution to improving performance of inter-VM communication. Nowadays, there are many up-to-date mechanisms to solve this problem. However, most of related papers do not provide a general view for developers in term of choosing suitable mechanisms for a specific application with a specific group of data sizes nor any applications with any data sizes when they implement inter-VM communication. This article is focusing on analyzing and comparing main mechanisms of three approaches, which are being considered most now: Shared Memory, Unix Domain Socket and Pipes. The three inter-process communication tools: Unix Domain Socket (UDS), Shared Memory and Pipes are also implemented by authors for analysis and comparison purpose. The results of the experiments provide useful advices for developers when they want to choose a suitable inter-VM communication mechanism for applications depending on different data sizes. Abstract - All the available algorithms working on arranging sequence in the database either in ascending or descending order. It is sometimes does not give result as per need. In the online admission process and in train / flight reservation, choices have significant role and if by using available algorithms for analysis purpose, the result will not be as per the requirement. So efforts have been made in this direction and design and implement an algorithm to overcome with such problem. Abstract - Heights or reduced levels are used in practically all aspects of construction: to produce ground contours on a plan; to enable the optimum design of road, railway or canal gradients; to facilitate ground modelling for accurate volumetric calculations; to deals with all applications require topographic data. Levelling can be defined as 'the operation required in the determination or, more strictly, the comparison of hieghts of points on the surface of the earth' . Levelling is usually carried out as a separate procedure from that used for fixing planimetric position. It involves the measurement of vertical distance relative to a horizontal line of sight..... In this research work, heights of sample area with 5mx5m grid were determined. Then, about half of theses points were withdrawal and predicted from 10mx10m grid using number of four interpolation methods used to generate digital elevation models provided by SURFER package. Results showed that the accuracy of the DEMs generated were within the range of 0.8m to 0.83m and all tested interpolation methods approximately produce the same results. Abstract - Computerization of Registration System of Employment Exchange" is a web-based application software that will help managing different functions of the Employment Exchange, such as New Registration, Modification, Renewal and generation of various kinds of reports. An attempt is made to computerize the Employment Exchange so that common man can access certain information. Organization has an extra overhead to maintain its own data and keep the records that remain confined to the organization only and after sometime gets lost. The major discrepancy with the system is that it is difficult to produce reports corresponding to the present data and sometimes the information cannot be delivered in time. Different feasibility studies such as economic feasibility, technical feasibility, operational feasibility, behavioural feasibility, motivational feasibility and schedule feasibility were carried out for the proposed system. Than the various Modules of the Software were identified. The Information related to a candidate was obtained with the entry of data in the form filled during the New Registration of a candidate. In case of any change in the qualification, address etc., the updation was done by changing the specific information in the Modification form. The details of a candidate were available by clicking on the Registration number in any of the reports. There was a search operation to view information of previously Registered Candidates. Generation of Reports was one of the main components of this software .The user was able to get a number of reports on demand which can be used by the user for different purposes. Ojesanmi O.A. and Adeneye O.
Abstract - Global system for mobile communication network has facilities that can support different quality of service requirements for diverse applications. This paper proposes a novel channel assignment with borrowing technique to reduce the blocking probabilities of calls. Channels are assigned to calls based on the use of dynamic allocation to adapt the system to the network environment. In addition, handoff call is given higher priority over new call by introducing a buffer which stores handoff call if there is no channel available instead of dropping or rejecting such call while borrowing first available scheme is employed to take care of new calls to be blocked. Simulation runs using NS3 and OPNET packages will assist in evaluating the performance of the proposed scheme. Abstract - Data warehouse plays a vital role in Decision support systems. As it needs to answer many complex queries, managerial level queries, requires advanced computing Techniques. Data mining is the process of extracting hidden useful information from huge data bases. Literature of Data Mining involving algorithms and techniques related to association, classification, clustering etc. Data warehouse deals with heterogeneous, huge amount of data and has to answer complex queries. Once Design Data warehouse is done then it need to concentrate on Data warehouse maintenance. Data warehouse requires advanced systems to increase the performance in addition to the existing system. The explicit-table approach, Materialized view (MV) approaches are to be added with latest techniques. Many methodologies for Optimization of calculating MV's and efficient calculating Data cubes are proposed. This paper explores the data mining techniques such as Association, clustering used for Data warehouse maintenance.